A special thank you Ariel Tolefree-Williams and the Monrovia Area Partnership for their partnership in allowing SET for LIFE to host a health screenings during the 10th Annual MAP conference. The conference theme "Not Without You" was appropriate as individuals from the community were screened for several life threatening chronic diseases and cancers, if not caught in earlier stages. Thank you to the Second Baptist Church, Brotherhood Laymen's League for spearheading the Prostate Cancer screening. A special thank you to each and every volunteer to came out to help . Everyone was very appreciative of the services. Many people tried Acupuncture for the first time. SET for LIFE resource table was filled with lots of important information about healthy living. In addition to educating the everyone about Southern California Edison's Time of Use rate plans. 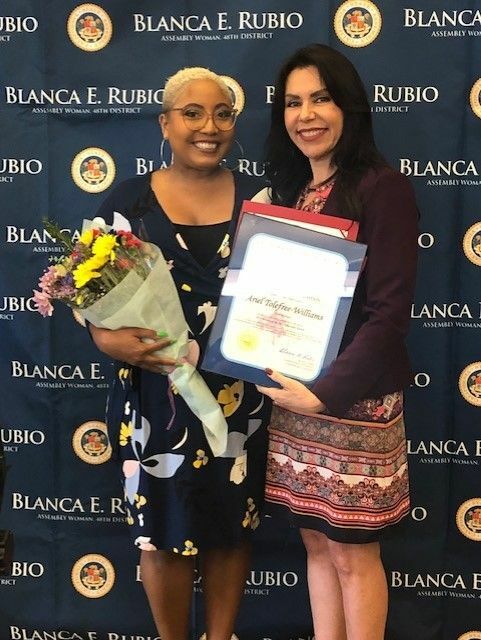 SET for LIFE Board Co-President is honored at Assemblywoman Blanca Rubio 2019 Woman of the Year Awards Event for Education. Ariel works for the City of Monrovia at is responsible for many of the outreach efforts targeting seniors and families! Ariel is also coordinates the Annual MAP conference. Congratulations Ariel!!! In partnership with Southern California Edison, SET for LIFE gathered a group of older adults to provide input to SCE on how to better inform seniors about various reduced rate services and other programs available to seniors and low income families. Thank You to SCE for providing lunch and Emergency Kits to Second Baptist Church seniors. For more information contact the numbers below. 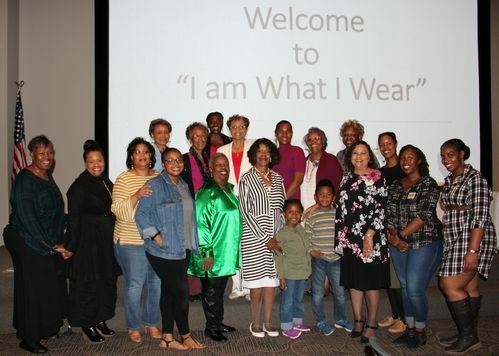 SFL spearheaded the connection between City of Hope?Connecting People of African Decent (CPAD) and SBC/United Women's Fellowship Guild to sponsor "I Am What I Wear." SFL Boardmembers and SBC members came out to learn about current policies regulating the chemicals used in hair care and personal care products targeting the African American consumer. Thank you; Emilee Bargoma, Jazma Tapia and Dede Teteh and Dr. Kimlin Ashing, MD and Nancy Clifton-Hawkins, Community Benefits Manager. Board member and SBC liaison Carrie Walker represented SET for LIFE during the Foothill Alumnae Delta Sigma Theta Chapter 3rd Annual Health Symposium. The event was held at Second Baptist Church and featured various health topics for the entire family. Check out these two important links about Black Infant Health. Congratulations to Monrovia High School for winning first place! Board member, Betty Thomas is also also a volunteer with C.E.R.T and served at the first aid station during the Los Angeles County Robotics Competition at Monrovia High School. SFL is grateful for our 14 year partnership with City of Hope in providing resources to educate and train our community and well as provide help to those in need. A special Thank You to Latinos for Hope (City of Hope Kindness Grant Recipients) for providing 15 gift baskets/gift cards and loads of non-perishable food items for the 2018 Mission of Mercy Thanksgiving Food Drive. Over 100 baskets were packed on Friday, November 16th and distributed to City of Hope patients and the community. Several SET for LIFE and Second Baptist Church members were there to help pack baskets. A special Thank You to Sue Hargrave for her continued support of SET for LIFE.